Canadian Home Love: Extra, extra! I love when I can stretch my dollar (or should I say Loonie? - I am living in Canada now and their $1 is a coin with a Loon it - clever) to the max. 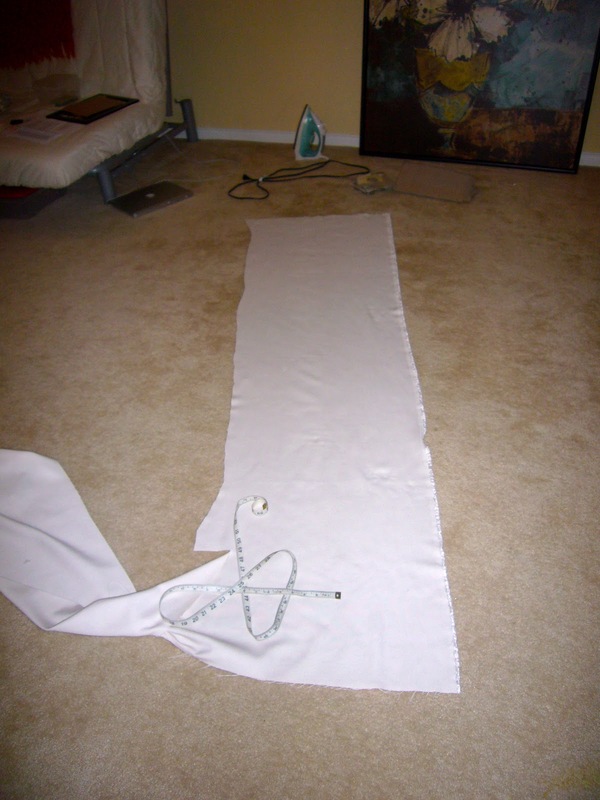 The fabric that I bought for the headboard I made just happened to be too much (see right). It was so much more, in fact, that it is enough for two accent pillows. I have accent pillows that I was going to give away as they no longer fit into my color scheme, so I took the pillow inserts out and measured. 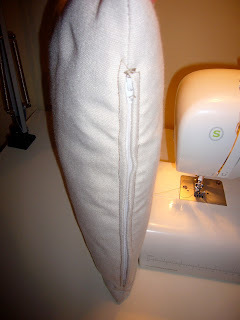 I like making pillows with zippers so they can be easily removed and washed. I already had one white zipper (not the perfect color since the fabric is cream, but it'll do), so I bought another when I was out and about the other day. Yeah, it's not the most exciting pillow, but paired with a great lumbar pillow in the middle of the couch, POW, it will be like fireworks I'm sure :) I may have to purchase the wower pillow....not sure I have the sewing skills to accomplish that just yet. Being resourceful is my favorite! Have you discovered more of something than you thought you had and put it to good use?